Teamwork is a critical factor to consider when trying to achieve maximum efficiency within the workplace. In order to remain competitive it is imperative that tasks are completed to high standard and in the quickest time to maintain a high level of productivity. In order to achieve this, firms need to make a relatively small investment in comparison to their return on investment. Many fail to see the major advantages that team building exercises have on their employees and in particular their motivation to enhance the companies output. 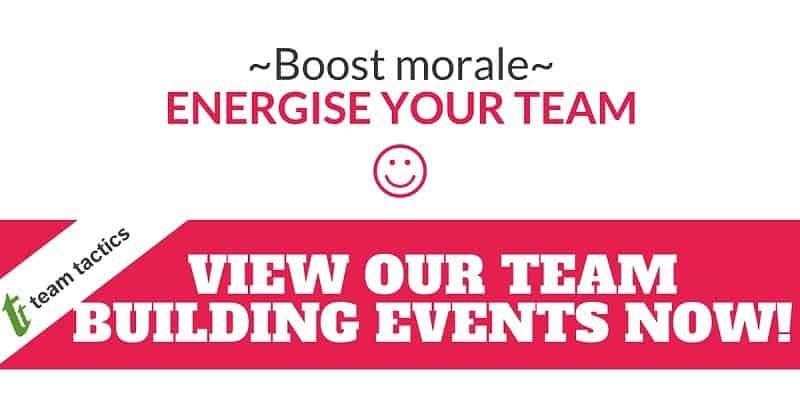 The instant perception of ‘Team Building Exercises’ for some employees might be that it could be the same repetitive tasks carried out yearly which do not have much of an impact on staff morale. However at Team Tactics we have spent over two decades changing this perception. 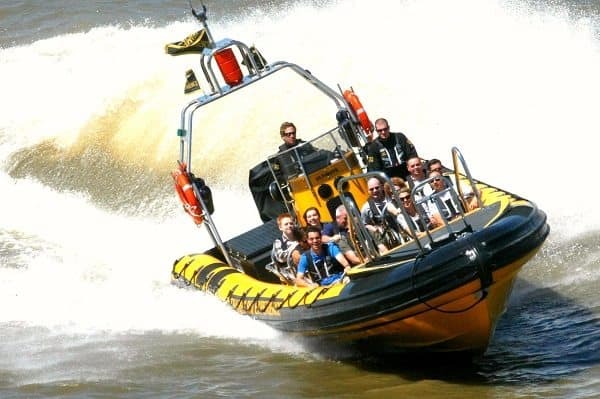 A large portfolio of highly engaging team building exercises has been created to encourage team work and to bring groups closer together in a fun and interactive team building exercise. 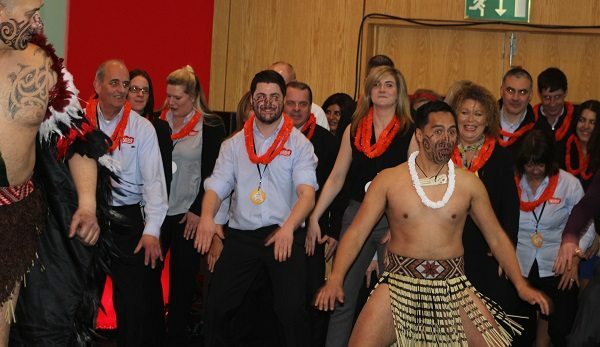 Our authentic Maori can storm your conference to energise the whole room with a difference! Performing their remarkable tradition in tribesman attire, the Maori will certainly get the adrenalin pumping from the second they enter the room. Learn how to perform the Haka from the experts and surprise your colleagues as you are pushed out of your comfort zone. Authentic make up can be applied to participants to make this team building exercise one to remember! The Haka experience is proven to bring the whole room together to collaborate in a fantastic Haka war dance finale which will be one to remember. More details can be found on our Haka event page. Drumming is one of our most simple yet effect team building exercises we offer. 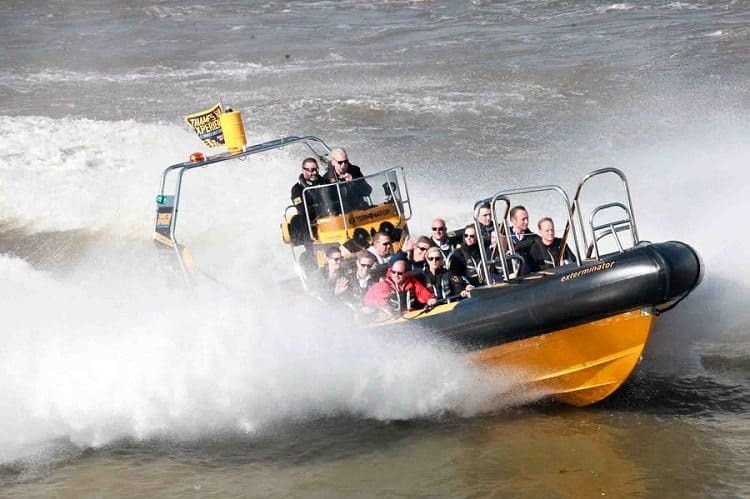 The good thing about this event is its suitability for large groups and any ability. Learn to create fantastic percussion and experience the impact straight away with this highly infectious team building exercise. Drumming is guaranteed to get everyone involved and motivate even the quietest of team members to create powerful sounds. The finale will also be one to remember where you will create different sounds with the help of internationally renowned instructors. 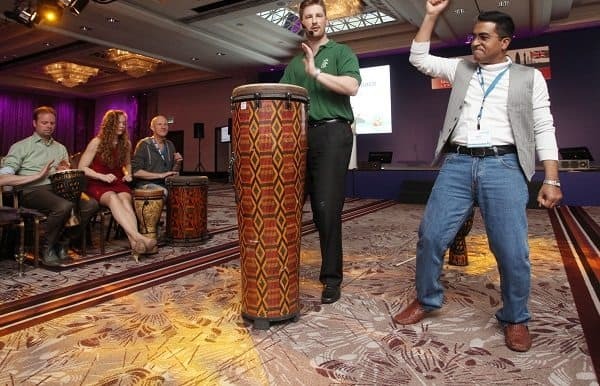 Drum up the fun at your next conference! No dancing experience is required for our Thriller Experience where participants are transformed into the walking dead to perform a special finale of the iconic and legendary Michael Jackson’s Thriller dance. Highly experienced choreographers will take you through your paces and you will be surprised by what you can achieve in under three hours. 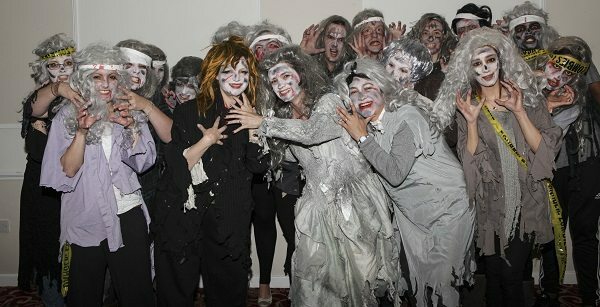 Our makeup artists will take transform all participants into zombies with costumes to complete the thriller team building exercise. Another bonus about this event is that it can be filmed so groups can re live their deadly experience over and over again. Find out how to zombiefy your team here….